25 Best Easter Vacation Packages in the U.S.
Hotels, resorts and inns across the U.S. are offering a number of unique activities and attractive packages to celebrate Easter this year. Check into a spa resort, relax at a secluded inn, or plan a mountain getaway where you'll be invited to join an Easter egg hunt, receive a visit from the Easter Bunny, and participate in fun activities for the whole family. 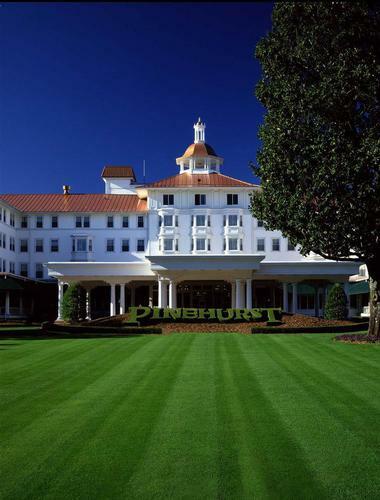 Pinehurst Resort in the heart of the Sandhills, North Carolina, is a famous golfing destination that offers activities for the whole family. The Easter Weekend package offers guest accommodations at the resort, dinner at any of their exclusive resort dining venues, and a delicious breakfast buffet. Guests will get a commemorative family photo as a souvenir and can participate in many activities that will create lasting memories. Starting at $224 per person per night at the Manor or Holly Inn, this offer is available from March 24-28. The Meadowbrook Inn & Suites is a beautiful retreat with 62 large rooms and suites. Traditionally furnished, each room is unique in color scheme and interior design. The property is offering the Easter Bunny Package to all guests visiting Meadowbrook this year during the Easter Weekend. A basket of Easter goodies waits outside your door on Easter morning, complete with eggs, jump rope, chalk and candy. The Easter Bunny will entertain the children during the complimentary breakfast. The Easter baskets are for children 12 and below. Easter is a wonderful time to visit Asheville and the Easter Weekend Asheville Package at the Cedar Crest Inn offers the perfect way to celebrate. Guests are offered accommodations for three nights with a late checkout option. This package includesa three course gourmet breakfast and a Sunday Brunch, with afternoon tea, cookies and complimentary wine. The Deluxe rooms cost $575, Premium rooms cost $695 and Grand suites $869 on double occupancy. 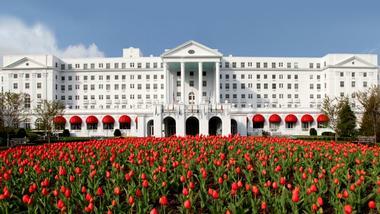 The Greenbrier is a historic getaway set against the spectacular mountains of West Virginia. Te resort has hosted many celebrities since it opened in 1778. The Greenbrier offers a diverse choice of Easter events that are fun for the whole family. You will be able to choose from an array of activities throughout the weekend. There is the Bunny Hop Fun Run which meets at the North Entrance; Under & Over Teen Egg Hunt & Challenge at the indoor pool, Family Laser Tag, and Children’s Dance in the Cameo Ballroom. After a busy day, relax with the Children’s Story Time at Fizzy’s Land of Oz or watch a movie at Greenbrier Theatre. 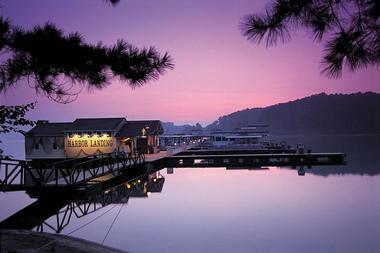 The Resort at Glade Springs, West Virginia, has a variety of accommodation options to suit every budget. Mountain biking, hiking, golf and skiing are some of the activities guests can enjoy. The resort offers their Easter Package between March 25-28 for three days and two nights. Breakfast and the Easter Buffet are at The Bright Ballroom. Two children under the age of 12 can stay with their parents in the same room and they can have breakfast and the Easter buffet. Children will be entertained by the Easter Bunny as they hunt for Easter eggs. 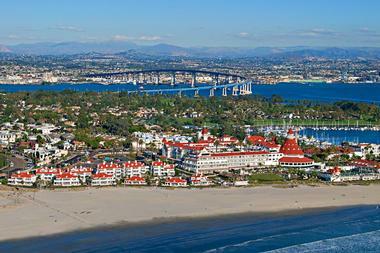 Beach Village at The Del is located on the golden sands of the Coronado Beach in San Diego. 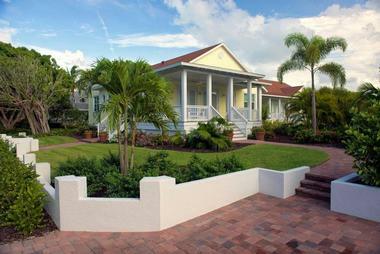 They offer highly personalized service at their luxurious beachfront cottages. The Beach Village Inspire a Family Tradition Package includes a $100 resort credit that can be used at the spa, dining, activities or shopping. With valet parking and personal concierge service to make this a special stay, a luxurious keepsake throw blanket and breakfast is also offered. Guests will have to stay a minimum of two nights. Yosemite Cedar Lodge is a cozy retreat that provides a perfect base for exploring Yosemite National Park in California. See beautiful scenic waterfalls and phenomenal rock formations during your trip. After a day of activities in Yosemite, guests will find it easy to unwind with the amenities at this hotel. Easter is fun at Yosemite Cedar Lodge, from March 27 to April 11. The hotel staff enjoys hiding special eggs in guest rooms, and if children below 6 are part of the group, the Easter Bunny has a surprise for them. 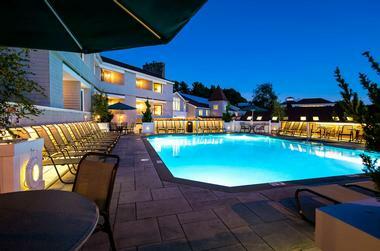 The Meadowmere Resort is a traditional family operated inn in Ogunquit Village, Maine. Ogunquit Maine Easter Package offers a welcome Wine & Cabot Cheese on arrival. Guests are checked into resort accommodations with parking for one vehicle and access to resort amenities like the spa and the swimming pool. Dinner is at either Jonathan’s or at the Old Village Inn, and a bountiful breakfast is served in the morning. There are Easter Crafts for children and guests receive a late check-out at 1pm. This package is being offered at a special rate of $249-$349 per person. The Camden Harbour Inn in Camden, Maine, is a beautiful retreat. The property is offering The Camden Harbour Inn Easter Package which provides vacationers with a choice of luxury or suite accommodation for two nights. A three course dinner and a gourmet Easter Brunch Buffet is served at Natalie’s; indulge in Eggs Benedict with a Chipotle, Salmon with Fennel and a selection of seafood and pastries. This package includes a 30 minute massage for two and a historical map of Camden. The rates are from $367 per person on double sharing. More adventure vacation ideas for couples. The Homestead is a historic, 250 year old resort in the Allegheny Mountains of Virginia. It expanded over the centuries and today it stands on 2,300 acres. The Homestead offers guests the Easter Escape Dinner Package. A luxurious room with a welcome basket awaits guests. They offer overnight parking for one vehicle and guests enjoy a complimentary breakfast each morning. This package offers a three course dinner at the restaurant each night for registered guests. With this package, a 15% discount is offered on all outdoor activities except falconry. 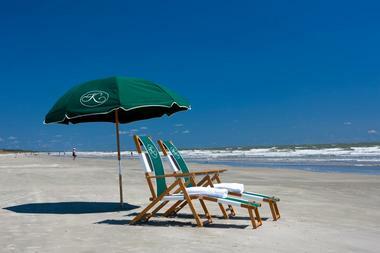 Kiawah Island Golf Resort is a beautiful getaway located on Kiawah Island, South Carolina. The Easter Vacation Escapes package offers guests a choice of accommodations and meals to suit their individual preference. The Sanctuary Garden View costs $545 mid week and $640 on weekends. Two-Bedroom Villa rates start from $292. Guests can choose from several resort restaurants. Children will be excited to see the Easter Bunny, but there are other entertaining activities as well, like the underwater egg hunt for a fee. 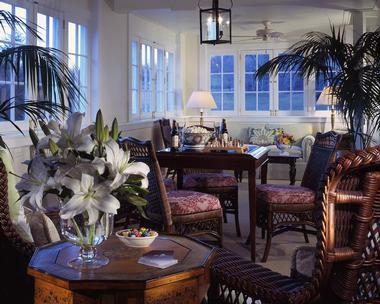 Marina Inn at Grande Dunes is a luxury boutique resort located in Grande Dunes, South Carolina. Marina Inn is offering the Myrtle Beach Easter Package on March 25 & 26. This popular package offers 2 nights in a grande guest room for 2 adults and 2 children with rates beginning at $667, including all taxes and fees. An Easter Basket is delivered for each child to the guest room and Sunday Easter Brunch is served for all registered guests. Guests can participate in the Easter weekend activities. This package requires a minimum two night stay. 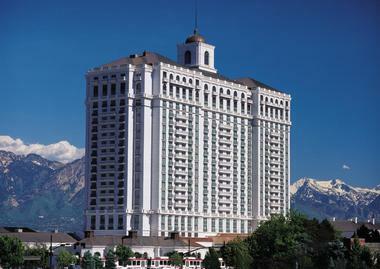 The Grand America Hotel has luxurious rooms and suites with balconies that offer panoramic views of the mountains in Salt Lake City, Utah. The Easter Bunny Tea package in the Lobby Lounge is offered on March 26. Guests will be treated to a Traditional English Tea that includes scones with Crème Chantilly and Jam, finger sandwiches, pastries and a selection of premium teas. The Grand Traditions Tea is $45, Afternoon Tea is $28, and $20 for children under 12. The Easter Bunny welcomes guests on Easter. The Saybrook Point Inn & Spa is a tranquil New England resort set in Old Saybrook, Connecticut. The property is offering the Easter Brunch Getaway to guests who wish to create memories of a fun Easter. Check into a beautifully decorated room, and enjoy a $20 food and beverage credit towards a meal at the Lounge at Fresh Salt restaurant, and an awarding winning Brunch for two at Fresh Salt. Relax next to the water and enjoy the ambiance. The Easter Brunch Getaway package starts at $479.70. The Orange Gild B&B and Spa is located in the scenic town of Washington, Connecticut. The property has a private spa with three different saunas; guests can experience a traditional Finnish sauna, a steam shower and an infrared sauna. A special European Easter Sunday Breakfast is offered at no extra cost. Guests can celebrate Easter in a European style. On the menu will be Dutch Paasstol, raisin bread with almond paste filing, Greek Kalitsounia, sweet cheese pastries, Italian torta Pasquale, English Easter Nest cupcakes and a chocolate surprise. The Gasparilla Inn & Club in Florida is a historic getaway that opened in 1913. This classic resort offers diverse activities, includinggolf, fishing and relaxing on the beach. The Easter Weekend Package was designed to create memories for the whole family. Available from March 25 to March 31, the package includes a stay in a deluxe room. 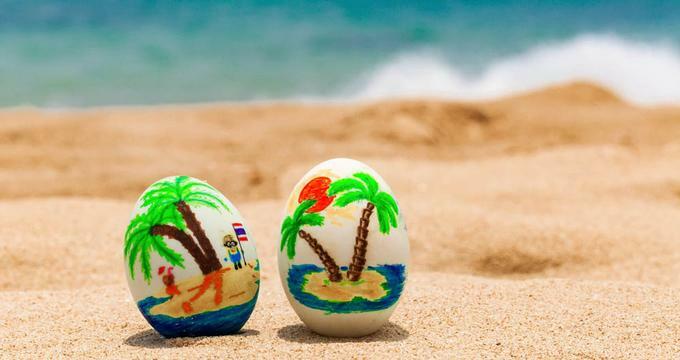 There are special events lined up like the teddy bear tea party, beach games, sand sculpting, Inn Bingo, Drive-Inn movie, and the traditional Easter Egg Hunt. The rates are $395 per night, taxes are applicable. 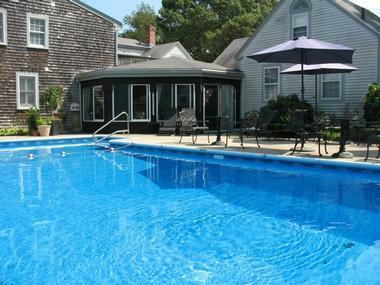 The Platinum Pebble Boutique Inn is a luxurious hideaway in West Harwich, Cape Cod. The award-winning Inn is offering the Easter Package Cape Cod which includes a beautiful room with a gas fireplace, In-Room Movie and Popcorn. Visitors will receive afternoon tea, coffee or hot chocolate, as well as whiskey, brandy or port night caps later in the evening. A gourmet breakfast is served each morning in the room. Bookings before March 31st will receive 20% off the room rate. 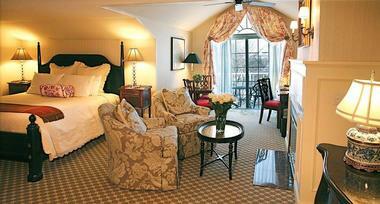 The Orchards Hotel is a charming retreat set in Williamstown, Massachusetts. Relax on the hotel’s manicured garden beside the pond and admire the scenic Berkshire Mountains on the horizon. The Orchards Hotel is offering the Easter Brunch package. Guests receive overnight accommodations with this package and a 2pm checkout on Easter Sunday. Indulge in a scrumptious Easter brunch at the Gala Restaurant and bar. Children below ten years are given a complimentary brunch. This package is for double occupancy and rates start from $129 per night. 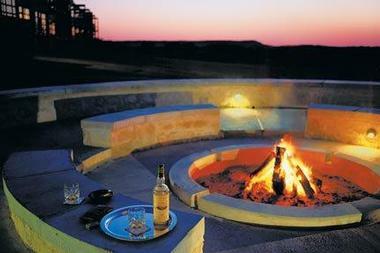 Rough Creek Lodge and Resort is a luxurious ranch style resort in Glen Rose, Texas. The Easter Package offered by this resort gives guests deluxe overnight accommodations from March 25-27 with a minimum 2-night stay. Three Children below 15 years can stay in the same room as adults for free. This package offers a large country breakfast and a delicious Sunday Easter Brunch. Children will be entertained with egg decorating, pictures with the Easter Bunny, egg hunt, a petting zoo, children’s fishing contest, and other activities for the whole family. 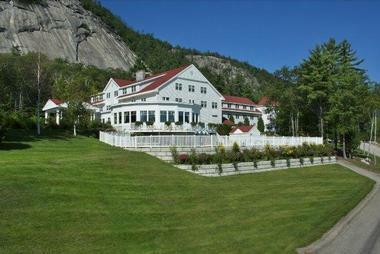 The White Mountain Hotel & Resort near the historic North Conway Village is a perfect destination for all seasons. The hotel's Easter Package includes two nights of deluxe accommodations. Easter dinner is served in the Ledges dining room and guests receive 2 orders off the menu. A full country breakfast on Saturday and the Grand Sunday Easter Brunch buffet are included in this package which costs $207 per person, double occupancy. The Inn at Perry Cabin by Belmond overlooks a landscaped garden that stretches to the pristine waters of Maryland’s eastern shore. This retreat offers the Easter Package from March 22-30 with a compulsory stay on March 26. Guests receive luxury accommodations and a $50 resort credit per stay. Resort amenities like the outdoor pool, fitness center and bicycle are complimentary. Guests can order breakfast from the menu, excluding Sunday. Breakfast costs $45 per room, each day. Sunday Brunch for two costs $135 per room. Easter egg and cookie decorating are part of this package. Lanier Islands in Georgia is offering the Lanier Islands Easter celebration. Valid from March 25-27, it includes the Easter Brunch buffet for two adults; children under 5 years eat free, children 6 to 12 years pay $25 per child. Children have several activities like the traditional Easter egg hunt to entertain them. Guests can go for a swim in the heated salt water pool and enjoy a 4hour resort car rental to explore the island. Accommodations and taxes are extra. Villa Roma Resort & Conference Center in the Catskills, New York, is offering the Special Easter Celebration package from April 3-5. Guests are given five meals, including a traditional Easter Sunday meal, and nightly entertainment. Starting with activities by Doc Holiday and supervised kids programs, the fun continues with a visit from the Bunny, Easter Egg Hunt, and an afternoon show for children. Adults can relax at the spa, by the pool, or play a game of tennis, racquetball or bowling. This package includes an open bar cocktail party on Saturday. Fernwood Resort is a scenic getway in the Poconos, Pennsylvania. The property offers several activities to make your holiday unforgettable. Fernwood’s Easter Celebration Package from March 25-27 includes two nights in a studio villa for the weekend, at $192 per night. Guests can take a zip line ride at Pocono Zip Racer, soak in a hot tub or visit the indoor pool, slide at Blue Lighting all season tubing, while children participate in the bunny crafts, egg hunts and the Peter Cottontail Easter Egg Hunt Picnic on Sunday. The Bavarian Inn Lodge is nestled on the banks of the River Cass in Frankenmuth, Michigan. Guests will be served authentic German dishes and beer. The Bavarian Inn Lodge is offering a 3 Night Easter Break Web Deal. Book from March 20 to April 7 2016 between Sunday to Thursday and rates start at $99 per night (taxes are additiona). There are limited rooms at this special rate. The whole family will enjoy the indoor water park that has four pools, three whirlpools and two water slides.